Bad weather? Yes, unfortunately you have read that correctly. Also in Valencia it’s not always nice dry weather. It can also rain a lot in Valencia. Are you the unlucky person who’s in Valencia with bad weather? Don’t worry, even with this bad weather there are some nice activities Valencia. 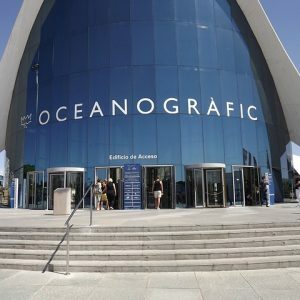 A visit to the L’Oceanogràfic is a very nice trip and great experience for everyone. 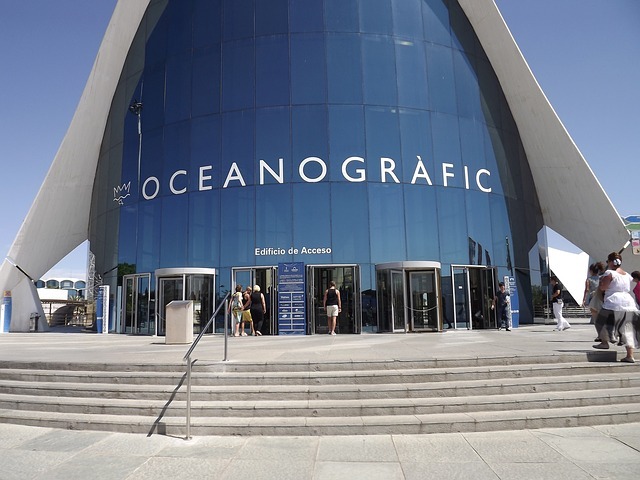 More information about the Oceanogràfic and tickets can be found here. In Valencia there are three large shopping centers. Next to the Ciudad de las Artes y las Ciencias are two shopping centers. One is the Centro Comercial Aqua Multiespacio. This shopping center consists of four layers, of which the first two mainly contain clothing stores, cosmetics etc and the top two layers contain eateries. On the other side of the shopping center Aqua is another shopping center, the Centro Comercial El Saler. This is a fairly large shopping center with all known stores such as H&M, ZARA, Stradivarius and many more. Also in this shopping center is a very large supermarket (Carrefour). Yet another shopping center where you can shop really good is Nuevo Centro. Once again all well-known clothing stores such as the H&M, Bershka, ZARA, etc. are in this shopping center. Another nice thing about this shopping center is that there is a cinema within walking distance (Yelmo Cines) and this is one of the few cinemas in Valencia where the films are not dubbed. In the center of Valencia you can find the department store ‘El Corte Inglès‘. The range goes from different clothing to shoes, perfume, make-up, personal care products and more. In addition, in the center of Valencia you will also find all ‘normal’ shops where you can shop all day long. On a rainy day you can also visit the Mercado Central or the Mercado de Ruzafa. The Mercado Central is a market where you can do your groceries from Monday to Saturday until 14:00. You will find lots of fresh vegetables, fruit, meat, fish and delicacies. Besides the fact that you can get a lot of fresh products here, the building is certainly also worth the visit. The Mercado de Ruzafa is also a food market with many fresh products. An advantage of the Mercado de Ruzafa is that it’s usually a bit more quiet and less touristy. Another very nice, cozy market is the Mercado de Colon, this is not a food market where you can get all fresh products but a nice place to sit with friends or family and have something to eat and drink. A very lively place where you can enjoy the atmosphere. In Valencia there are also plenty of museums that you could visit. 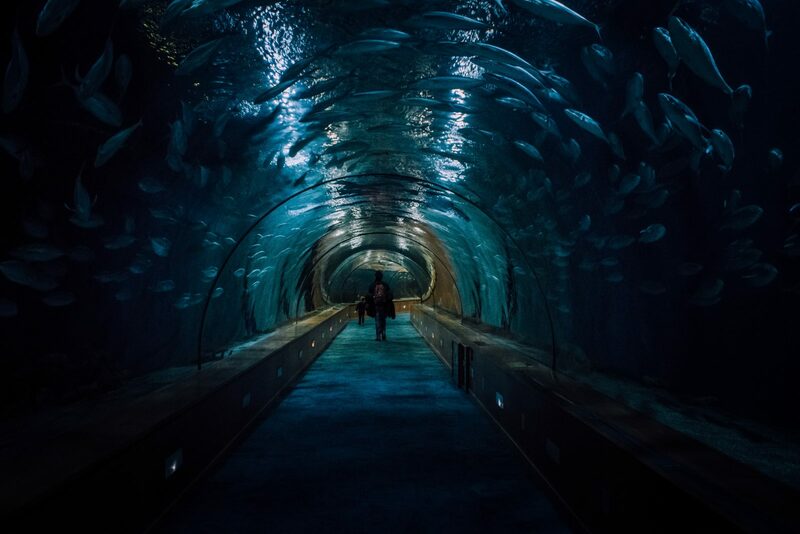 It depends on your interest which museum is fun for you to visit of course. But two museums that we think are a good choice to visit are IVAM and Museu d’Història de València. Located in the center of Valencia: Instituto Valenciano de Arte Moderno (IVAM) is a good idea for lovers of modern art. 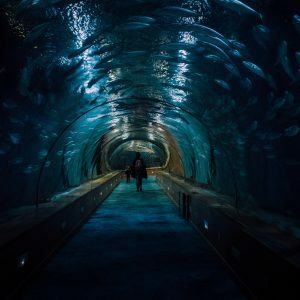 In this museum you will find a large collection of photographs and video, modern installations, paintings from the 20th century and sculpture. Museu d’Història de València is the museum where the permanent exhibition of the museum is dedicated to the history of Valencia, divided into eight blocks. There is the Valencia of today and Valencia in the Middle Ages. For every different block there is a collection of objects and works of art representing the period. So if it’s the case that it’s rainy weather when you are in Valencia, there are still plenty of activities that you could do without getting wet. It’s very likely that it won’t rain all the time so you will also be able to do activities outside. Most sights are outside, which ones there are? Find out in our Valencia sightseeing article. Love these suggestions! It’s easy to forget all the wonderful activities to enjoy when it’s cold and wintry in Spain.